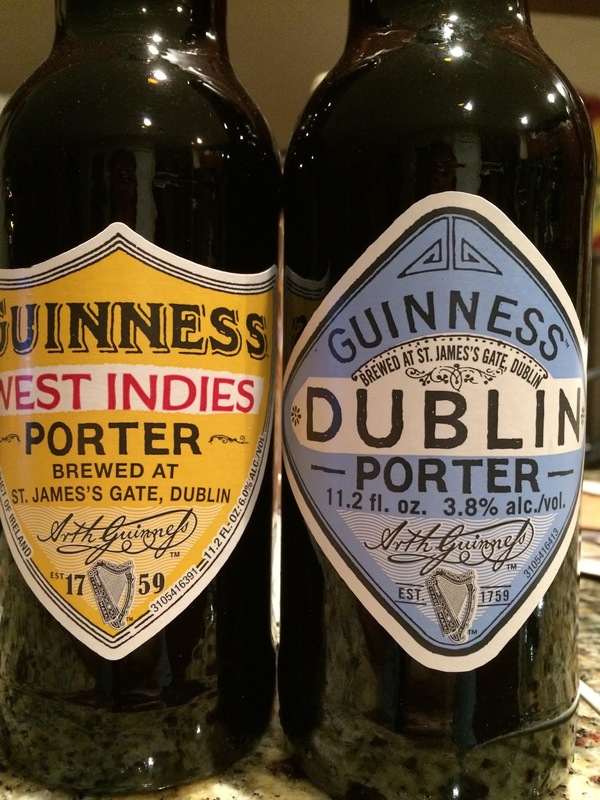 Guinness recently released two more beers from The Brewers Project in the US: Dublin Porter and West Indies Porter. The Brewers Project was created to give Guinness's brewers freedom to test brew new styles or reinterpret old ones at their St. James's Gate Brewery. 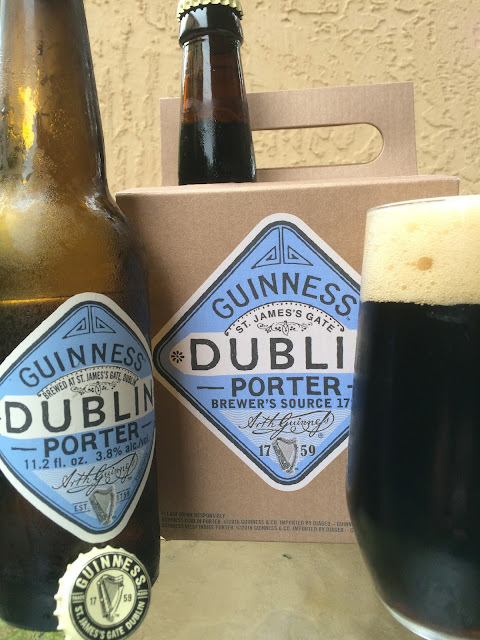 Dublin Porter was created by researching the diaries and annals of Guinness all the way back into the late 1770's. The result is what modern day brewers think the likes of Charles Dickens and Bram Stoker may have enjoyed, "a time-traveling beer." 11.2 oz bottle. 3.8% alcohol. Light roast with some chocolate aroma. Chalky chocolate flavors come first. Cocoa, coffee, sweet with a nice bitter background. VERY THIN! Light roast, hints of smoke. On the "sorta flat" side. Super simple, enjoyable enough, good story. 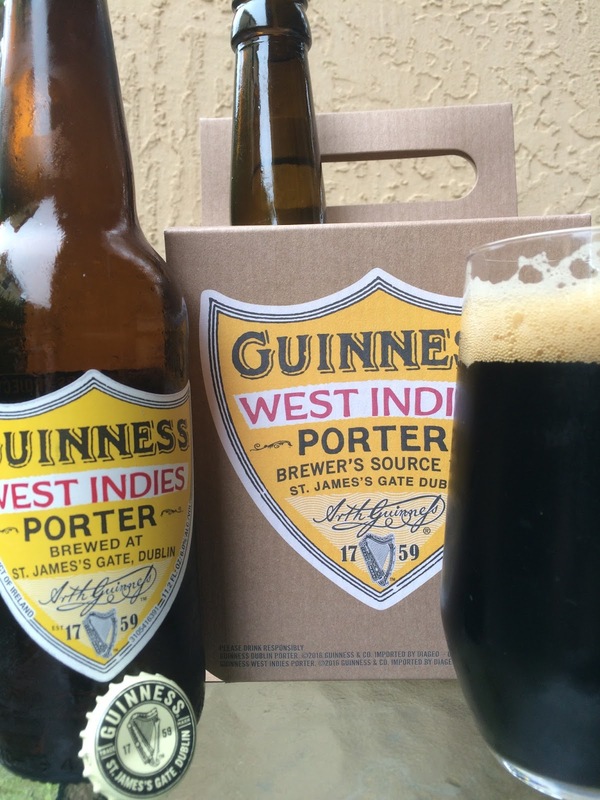 West Indies Porter was created using the original 1801 export recipe with some tweeks. 6% alcohol. 50 IBU. Nice caramel aroma. Tons of flavor! Great toffee and caramel with hints of chocolate, nicely sweet. Great body too. Nice roast and an ample bitter balance to the initial sweetness. Carbonation is good. Totally tasty! Without trying to compare apples to oranges, I preferred the West Indies Porter by a mile though I certainly appreciated the research and nostalgia involved with the Dublin Porter. Check them out and let me know what you think.